We will work with you to eliminate the pain at the root of the problem. PLEASE…you do not have to change your life style because of an injury you suffered. Ask any of our current or past patients, both young and old. There is another option then limiting your activity or eating painkillers. How Do I Know I Need to See a Chiropractor? Below are a few of the common signs that you could benefit from seeing a chiropractor right away. If you’re currently dealing with any of the symptoms mentioned above, but have yet to visit a local chiropractor, you may be missing out on a completely natural treatment option that can be highly effective. Large numbers of people around the world have experienced the significant benefits of chiropractic care for years largely because it’s a non-invasive, holistic treatment option for a wide array of different health conditions. One of the primary benefits of chiropractic adjustments is that they are completely drug free and work to heal the body naturally. Most chiropractic adjustments help the body to be placed in the proper position that then works to allow the body to prepare itself for healing. Because the nervous system plays a part in nearly every cell and organ in the body, chiropractors focus much of their attention on the spine being properly aligned at all times. If the spine is out of place, chiropractors work to use a series of adjustments to help bring it back into alignment. If you feel that you could benefit from chiropractic care, feel free to reach out to the experts at St. Paul Chiropractic & Natural Medicine Center today. We would be happy to offer a consultation to discuss your health and focus on developing a holistic plan to begin to find relief from a wide array of health conditions. 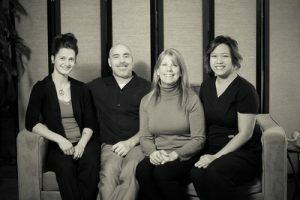 Feel free to give us a call today at 651-644-7207 or send us an email at info@stpaulnaturalhealth.com to setup an appointment.